Colour psychology is something every creative should have in their toolkit. It’s absolutely game-changing. Wishing that clients would get onboard with more colour is a complaint I hear a lot! How to not only persuade your client but actually unleash their inner colour lover is something I’m particularly passionate about. I want clients who trust their interior designers abilities and therefore take the plunge and be more daring and we have devised a process that does just that. 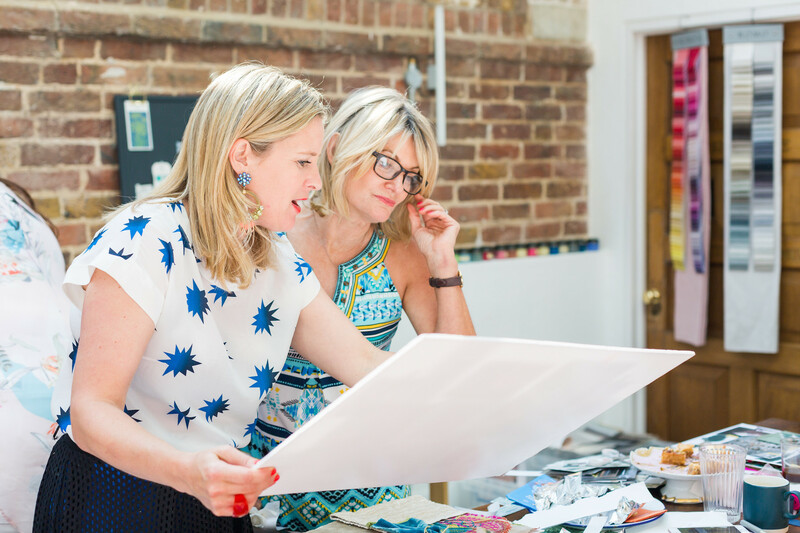 I’m thrilled to be collaborating with Fiona Humberstone, the esteemed Brand Stylist who is a leading creative entrepreneur, inspirational business coach and best selling author. 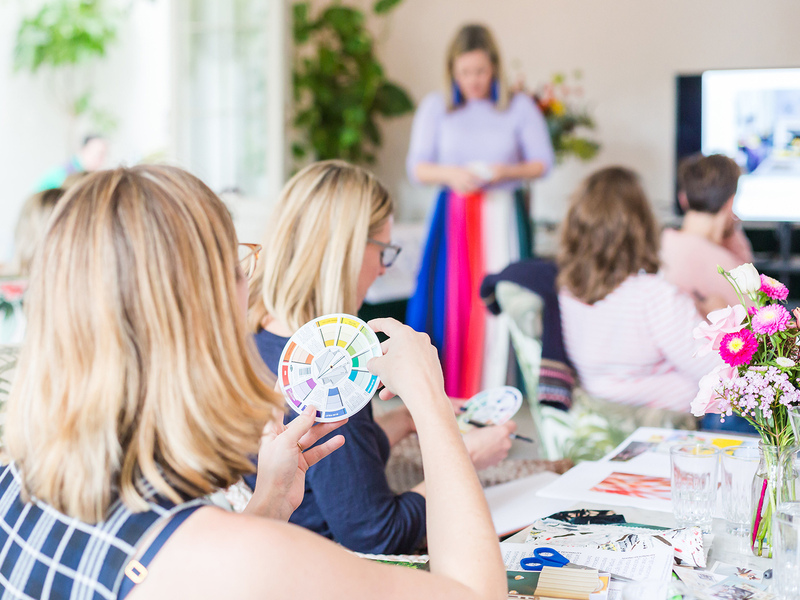 Together we bring you this creative, inspirational and exclusive event exploring the power of Colour Psychology and how this can be used to invigorate your creativity and empower your design process. 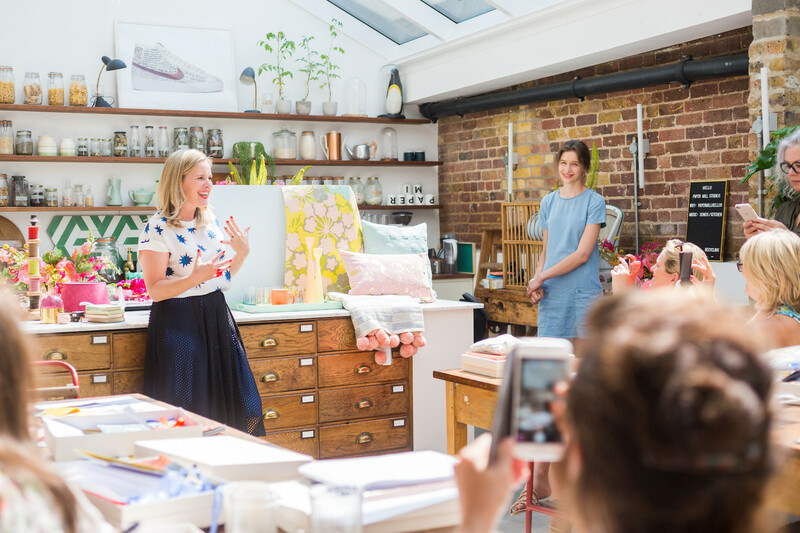 This course has been designed for anyone using interior design in a professional capacity, who is tasked with answering a clients or customers brief. And you are going to find it GAME CHANGING! Colour is such a huge topic and as professional interior designers, bloggers, retailers or students of design, you may already be converse with its power to transform the feel and mood of a room. This course goes so much deeper than ‘Blue is calming’ and uses the Colour Psychology framework to streamline the design process and help bring clarity to a brief. By exploring the ‘seasonal personalities’, and identifying which profile your client/customer/reader falls into, you’ll be better equipped to ask your client the relevant questions and quickly dismiss those red herrings that can frustrate a project. 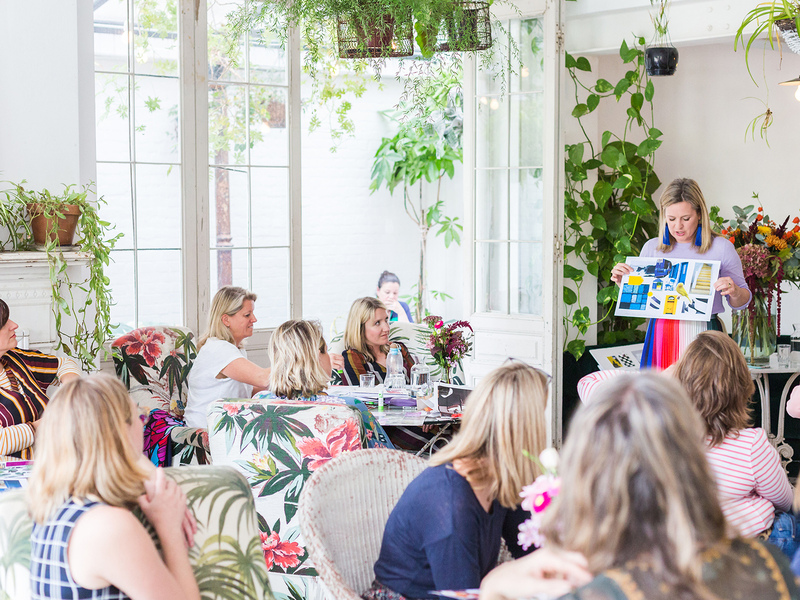 As a brand expert Fiona will also help you discover your own unique brand placement, your design style and the value that you bring to every project. 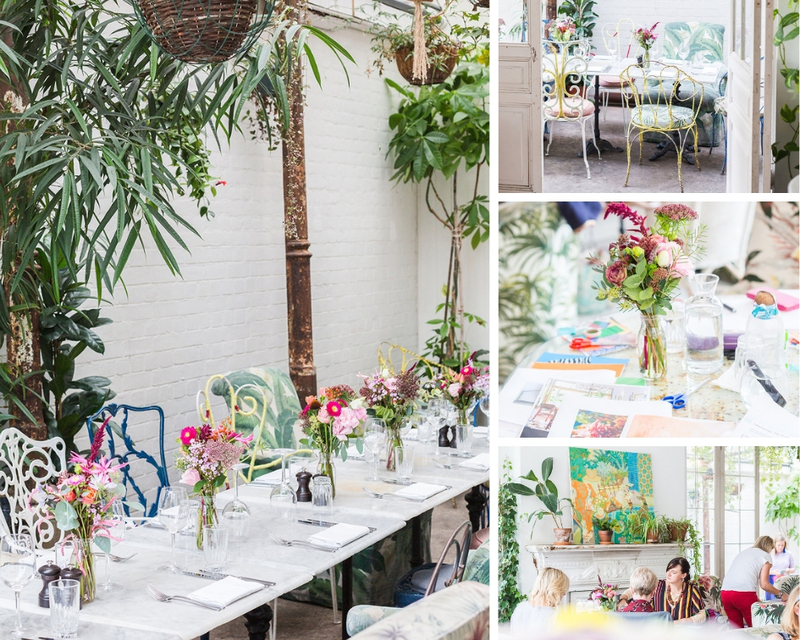 Interior stylist Sophie Robinson will draw on her 20 years experience of colour scheming interiors and share her sheer love of colour to ensure the day is as richly inspiring. This event is also a great opportunity to network with fellow creatives and business owners. You’ll be working in a professional capacity, learning about answering a client or customers brief, rather than your own. 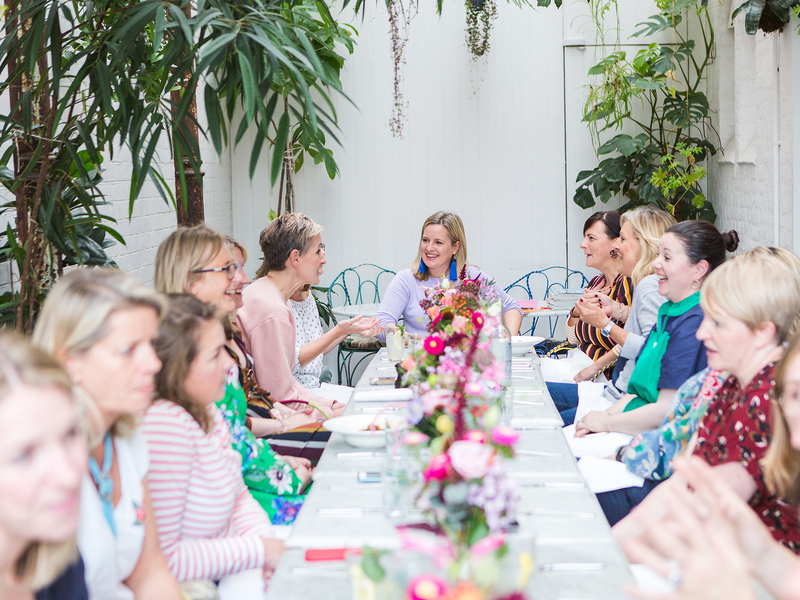 Designers, Makers and Retailers: Discover how the seasonal personalities can help you truly connect with your customers. Gain insights and practical takeaways that’ll enable you to edit your product line, create a more compelling brand and grow your business. Gain a deeper insight into the Psychology of Colour and how this thoroughly useful framework can enable you to make more intentional design choices. Learn to quickly untangle your clients brief and gain clarity and fresh inspiration. Translate your clients personality, as to what colours, textures, patterns and styles best suit their aesthetic, to design schemes that are both coherent and consistent. What you’ll learn will invigorate your own design process and make pulling daring colour schemes together easy. An opportunity to get creative, discover your edge and stand out from the crowd. A clear understanding of how to translate a client brief and define the relevant emotions in order to create a tangible and coherent design. 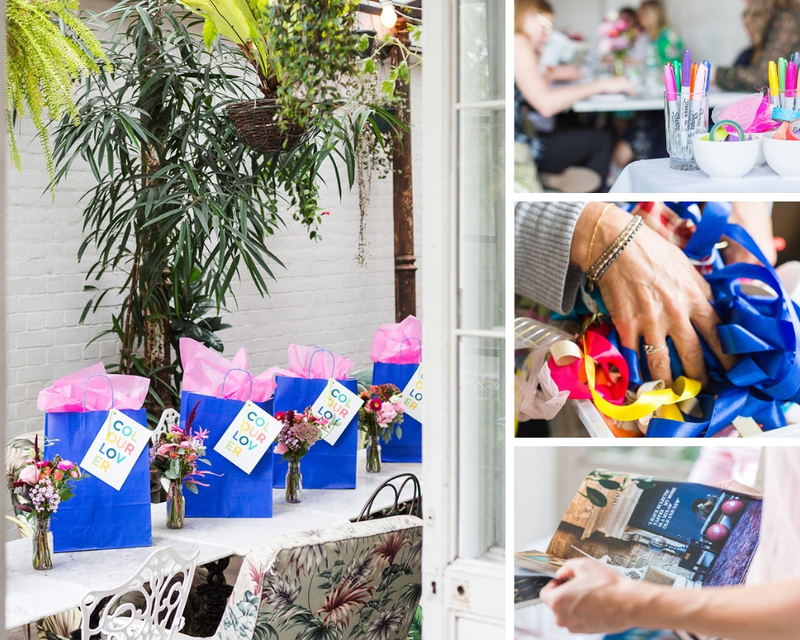 A creative, empowering and hands-on workshop, to get confident with colour and able to create knock out room schemes with ease. 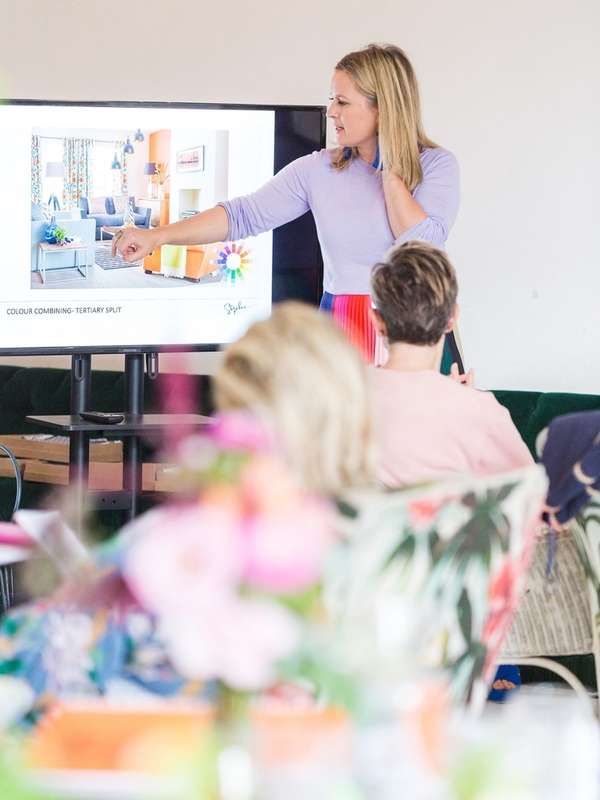 This is my very special and unique one day course which I’ve designed to empower and inspire anyone wishing to invigorate their creative process and get clarity around colour scheming their own home. It’s been conceived to appeal to complete novices as well as professionals as I share my own design process and approach to colour schemeing in order to help you ban the beige! I’m a self proclaimed colour lover and I relish the impact and effects you can create with colour. In 20 years of working within interior design I’ve never become bored of dreaming up new combinations and I’ve had plenty of opportunity to experiment and discover what works. However lot’s of people feel stopped when it comes to picking colours for their rooms and often default to playing it safe with grey or beige. But beware! Go down this route and I guarantee you’re left with a sinking feeling of disappointment and underwhelm. 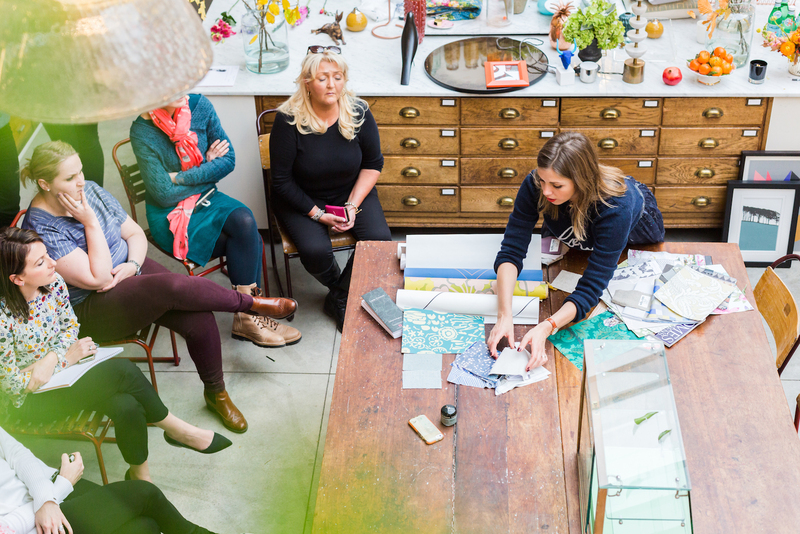 This workshop will help you unpick the mystery of how to compile a cohesive colour palette and more importantly understand why a scheme is perfect for you and the room you are designing. I’ve found that lot’s of colour scheming advise can be very dry and uninspiring. My workshop couldn’t be more different! I like to throw out the rule book and look at colour in a new and more modern way to make it easily applicable to you and your home. I understand that people fall into two camps, those who embrace colour and those who fear it. 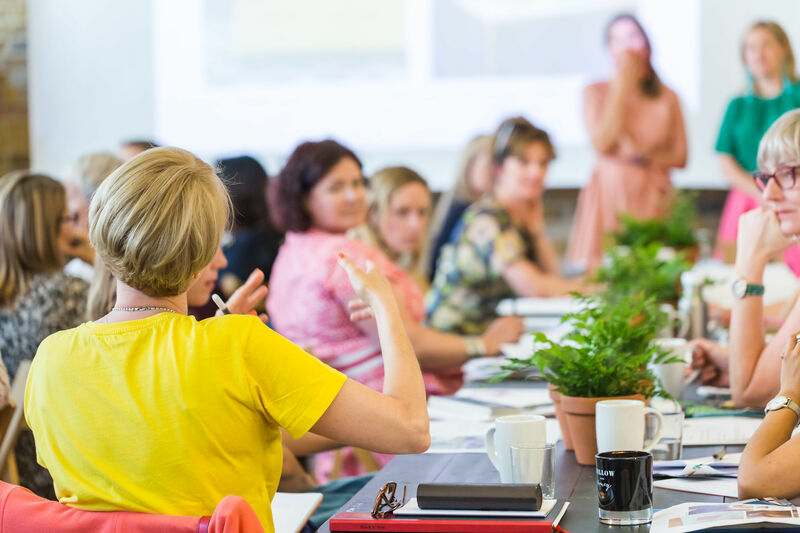 Whichever team you’re on this workshop is for totally for you. Throughout the day, we’ll be focusing on what colours YOU are naturally drawn towards and what effect they have on you and your space. We’ll explore your natural impulses to discover your very own unique colour palette, before covering some useful theory on how these can work together and how to use your palette to enhance all elements of your life, and your home. Learning about Colour Psychology has been totally game changing for me. I’ll never listen to my neighbours or friends opinions again!I now know what colours work for me and how to combine them. I literally can’t wait to get started on every room in my house! I’ll be sharing some of my tried and tested design rules on how to work up a magazine-worthy scheme as well as touching on the theory of colour psychology to ensure that a room feels as good as it looks. Throughout the day the focus will be on forming own your unique colour palette and producing mood boards for a proposed room scheme. There is plenty of opportunity to get questions answered so you are clear on your scheme. One of the highlights of the day for everyone who attends is spending a day, steeped in creativity, with a small group of people who are as passionate about design as you are. 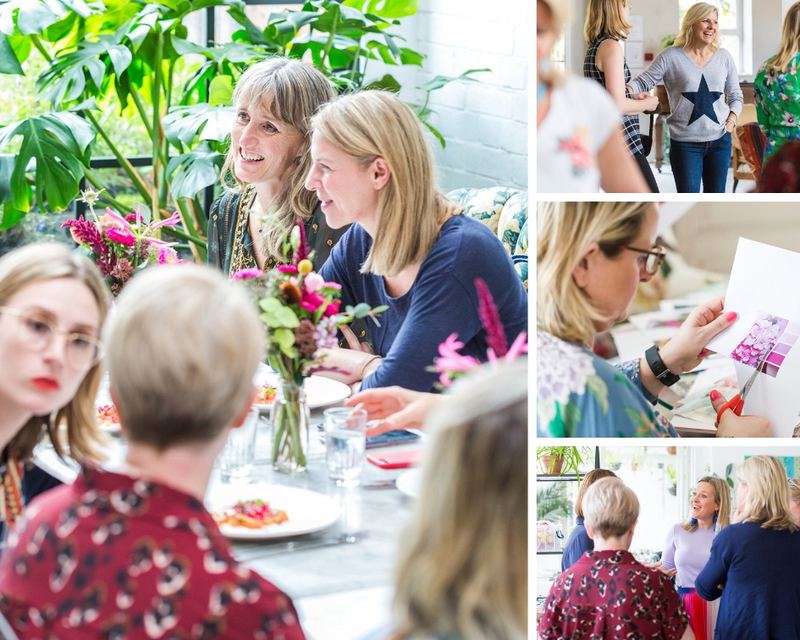 It’s a wonderful opportunity to swap renovation tales, tips and advise, all set in an inspiring venue. Home improvers: If you are looking at redesigning your own home this will give you the insight and confidence to pull together a strong colour scheme for one room but you’ll garner the skills to then design any room in your home. 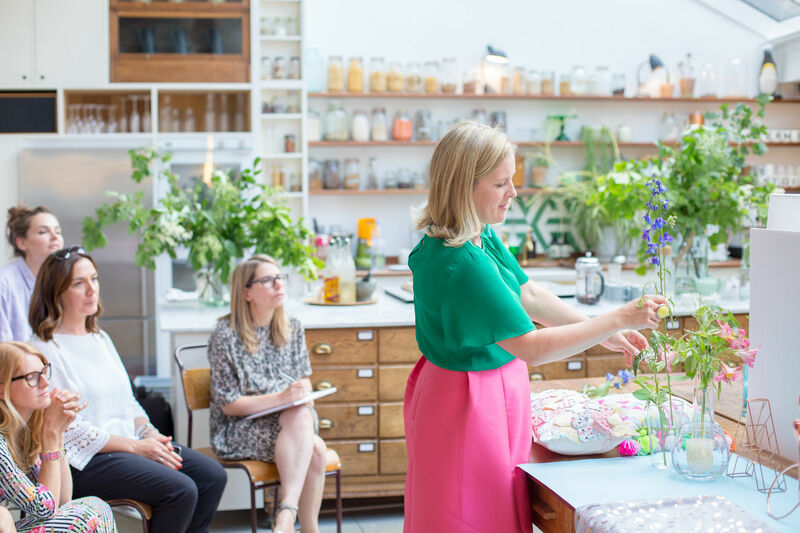 Interior Designers: If you find yourself in a colour rut and are looking to reinvigorate your design process then this creative day will kick start some fresh inspiration and look at colour scheming in a new and refreshing way. 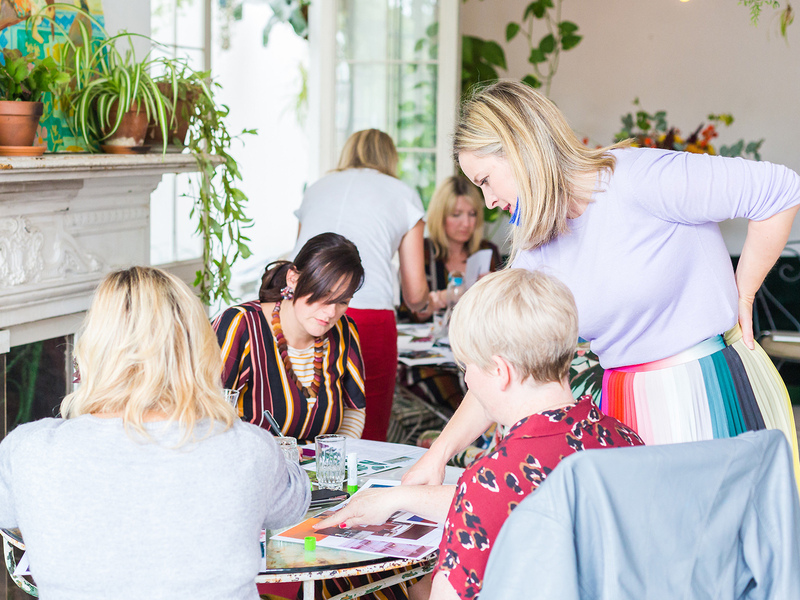 Creatives: If you would like to spend the day furthering your knowledge of colour and its applications as well as Sophie’s personal take on how to use it and create mood boards then you’ll find this a creatively fulfilling day. 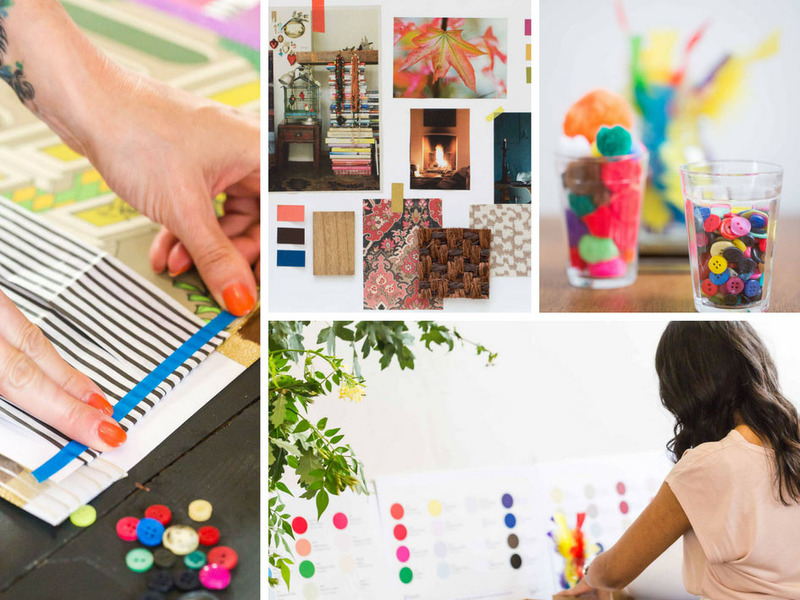 Discover your own unique colour palette that’s true to you, not just lifted off Pinterest. Learn about the power of Colour Psychology and how it can transform the way a room feels as well as looks. Enjoy getting in touch with your creative side, experimenting with colours, paints, fabrics and materials in a free and playful way. 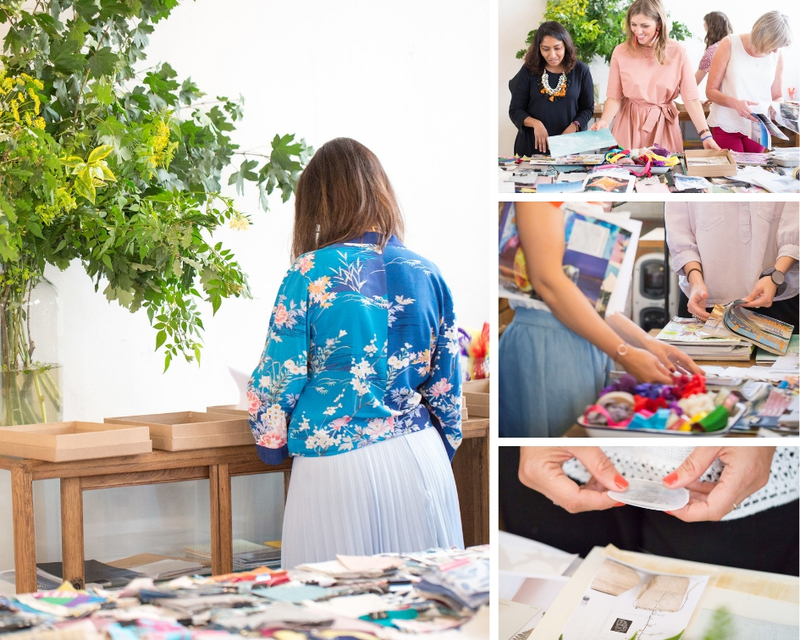 Learn how to put together a mood board that will empower you to design a room with confidence. It will even help you persuade your other half to get on board! 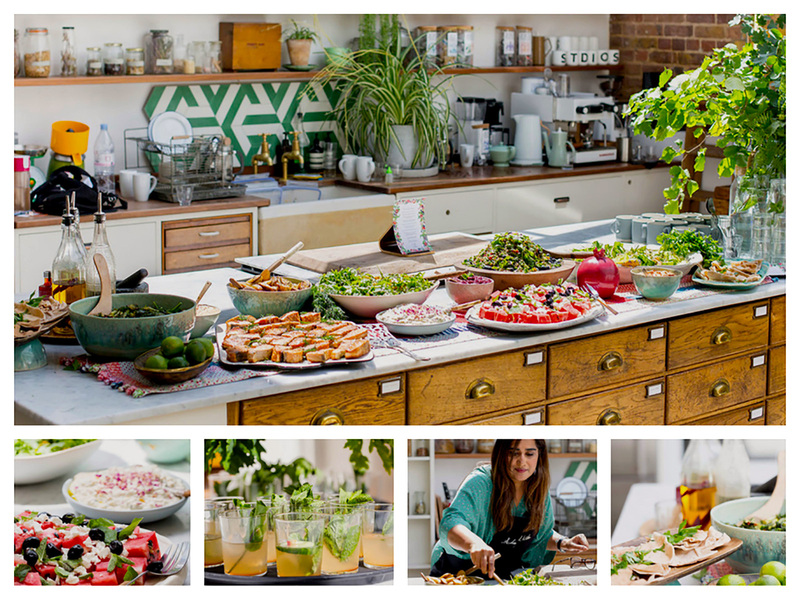 Share the day with like minded interior design enthusiasts in an inspiring venue with a delicious lunch. 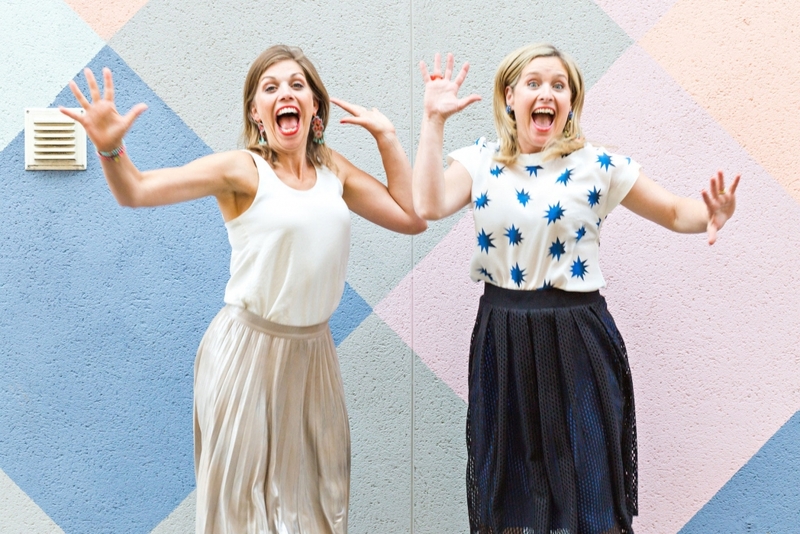 New friends who are just as mad about interior design as you are! The workshop runs from 9.30am – 5pm. Refreshments, lunch and all materials are included in the ticket price. SPACES ON EACH COURSE ARE STRICTLY LIMITED SO PLENTY OF OPPORTUNITY FOR SOME 1-1. DATE: 13th June 2019 9.30- 5pm: £495 50% of tickets sold! Special thanks to Katie Spicer for the photography.